This presentation will focus on the use of Nordoff-Robbins music therapy with children and adolescents with varying cognitive, social, emotional, and physical needs and challenges. Examples will include work with clients in individual therapy and those in group treatment. Although the disabling conditions vary, this presentation will show how music can be used to reach the inner person in a way that bypasses areas of difficulty and limitation. Music-centered approaches in music therapy put the client’s musical experience at the core of the therapeutic process. This presentation will detail the foundational concepts of this approach, illustrate the ideas through video recordings, and illustrate how musicological research can be used to reveal details about how improvisational music therapy can be used to support clinical goals. Nordoff-Robbins music therapy was first implemented with children and adolescents, but it has proven to be an effective modality for adults of all types, including people with mental health challenges, neurological injury, dementia, and those facing life crises such as medical trauma. This presentation will illustrate improvisational clinical work with people facing all of these various challenges. 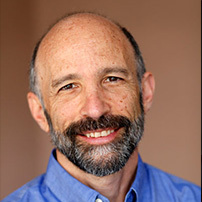 Kenneth Aigen is a music therapist whose clinical specialties include work with children and adolescents with emotional and developmental delays, and adults in mental health. His research uses musicological analyses to reveal connections between the elements of music and common cognitive, emotional, and physical goals in music therapy. 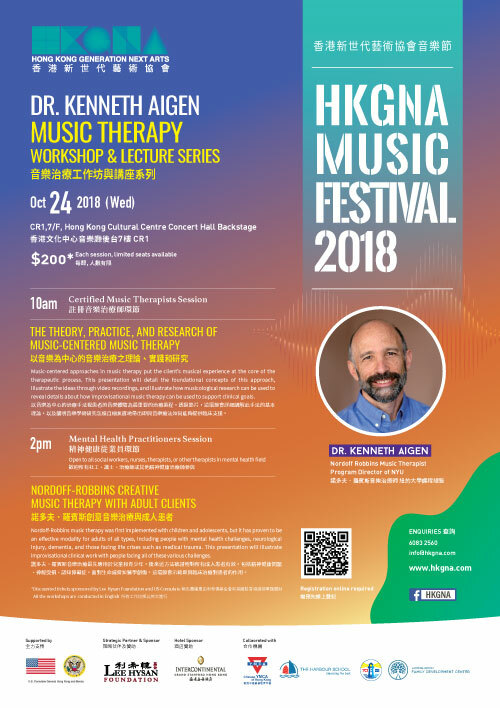 He lectures internationally and has authored numerous publications on Nordoff-Robbins music therapy, pop music in music therapy, and qualitative research methodology. Two of his books, Paths of Development in Nordoff-Robbins Music Therapy and Music-Centered Music Therapy, have been translated into Japanese and Korean. 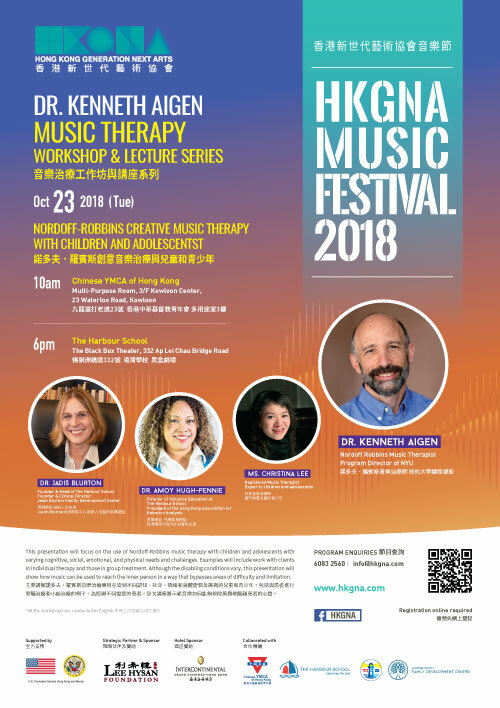 Aigen is a past–president of the American Association for Music Therapy, a recipient of the Research and Publications Award from the American Music Therapy Association, and he was the scientific committee chairman for the Ninth World Congress of Music Therapy. His most recent book is The Study of Music Therapy: Core Issues and Concepts published by Routledge in December 2013. Aigen received his doctorate from New York University in 1991 and for 15 years he was the research director and then co-director of the NordoffRobbins Center for Music Therapy at NYU. From 2006 until returning to Steinhardt in 2013, Aigen was an associate professor in music therapy at Temple University where he received the Lindback Award for Distinguished Teaching. In 2013, Dr. Blurton was the opening speaker at Hong Kong’s first TEDx-Education Conference and is well known as a leader in the fields of education and psychology. Dr. Blurton has a Ph.D. in Cognitive Developmental Psychology and Master’s Degrees in both Special Education and Psychology. She is a Qualified Teacher in Hong Kong and a Certified Montessori Teacher (AMS). She is also a Licensed Clinical Psychologist in two states in the United States and a Registered Psychologist in Hong Kong. She has served as consultant to numerous international schools and speaks both locally and internationally on topics related to gifted education, alternative or progressive education, child and family development, expatriate children (“Third Culture Kids”), and special educational needs. Amoy was born in New York, United States . 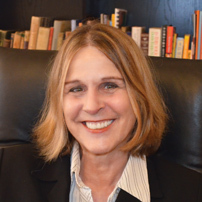 She earned her PhD from Columbia University Graduate School of Arts & Sciences in Special Education and Behavior Disorders. She is one of a handful of Board Certified Behavior Analysts at the PhD Level here in Hong Kong and current President of the Hong Kong Association for Behavior Analysis. 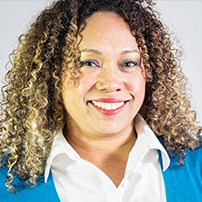 Amoy has been in education for over 20 years and has held many school leadership positions from Teacher to Education Supervisor and Director of Education. Amoy was also an Associate and Adjunct Professor for Mercy College in New York; Brock University and the University of Western Ontario in Canada. She sat on the editorial review boards and served as a reviewer for multiple peer reviewed Education and Psychology journals. Amoy was the first author in a recently published book chapter entitled “Applied Behavior Analysis as a Teaching Technology” in the Handbook of Research on Human Development in the Digital Age. Christina received her music therapy training at University of Western Sydney, Australia and completed her clinical training at Nordoff – Robbins Music Therapy, Australia, where she worked with children with special education needs, adolescent and adult mental health, adult disability, elderly with dementia and brain injury rehabilitation. 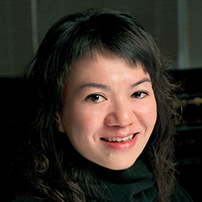 Before her study in music therapy, she graduated from the Master of Arts in Music (major in Music for Young Children) in Hong Kong Baptist University and Master of Education in the Open University of Hong Kong. With her interest in working with young children, she is now working with children with autism, ADHD, developmental delay, learning disability, and adolescents with challenging behaviors to help them controlling their emotion and to help them building their social interaction skills.